Valentino Rossi Moto GP Hand Signed Pit Shirt Framed. 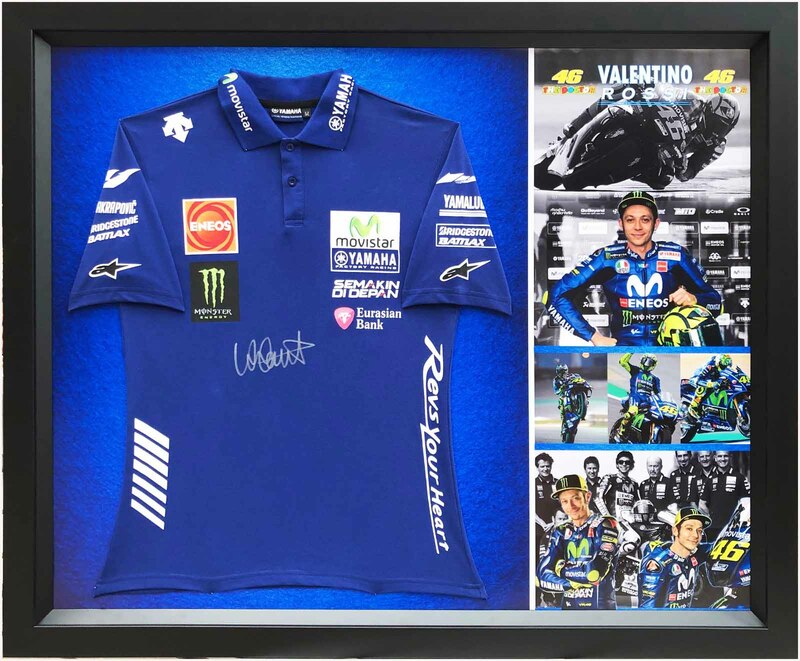 Valentino Rossi signed a number of these shirts in Silver Paint Pen at the Malaysian Moto GP on October 29th 2017. The shirt will be backed by our 100% Guarantee of Authenticity. Official Pit Shirt Personally signed by Valentino Rossi. Framed size measures 1100mm x 900mm.